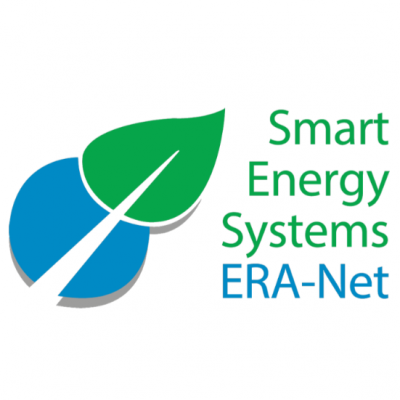 ERA-Net Smart Energy Systems (ERA-Net SES) is a European joint programming platform of 30 national and regional funding partners. This document is an invitation to respond to the 2018 joint transnational call for Regional Energy Systems projects in Europe, the REGSYS joint call. The total available budget is 33.3 Mio € including EU co-fund contribution. Project proposals must be submitted electronically. More information, about the call and the online Electronic Submission System, can be found at the ERA-Net SES website: www.eranet- smartenergysystems.eu/Calls/Regsys_Calls/RegSYS_Joint_Call_2018. The European Energy Union stresses the need for a fundamental transformation of our energy systems towards a sustainable, low carbon and climate-friendly economy that is designed to last. Strong, innovative and competitive European companies should provide the technology and services needed to deliver energy efficiency and low carbon energy solutions inside and outside Europe. The European Union’s ambition is to become a leader in renewable energy, reducing its dependency on fossil fuels, and has committed to cut CO2 emissions by at least 40% by 2030. Consumers are at the centre of this ambition. Energy is a critical commodity and essential for full participation in modern society. ERA-Net SES is a European joint programming platform of 30 national and regional funding partners. An overview of the ERA-Net SES partner countries and regions is given in the map below. The ERA-Net SES 2018 joint call focuses on the development of Integrated Local and Regional Energy Systems in accordance with the SET-Plan Action 4 Implementation Plan1. It originates from the corresponding ERA-Net SES focus initiative2 that aims at facilitating cross sectoral, holistic approaches for enabling regions and local communities to move towards a decarbonized energy system by 2030. The joint call emphasises solutions answering to specific critical needs within a local/regional energy system, where a “need-owner” 3 is identified and involved in the solution development. With its model of Associated Partners ERA-Net SES provides support to RDI initiatives to involve relevant stakeholders. Regional and local energy systems and networks will have to cope with a fundamental transformation in the coming years. They will have to respond to actual drivers such as the increasing uptake of new and improved technologies for decentralised energy systems, the boosting digitalisation and associated business models as well as to current societal trends. Such systems are composed of locally and regionally available energy sources, built infrastructure, specific production and consumption characteristics as well as consumer structures from different sectors, including the transportation system. They provide appropriate services to consumers, as well as to the overall European energy system, to help ensure the security of supply, maximize the primary energy efficiency and deliver a high share of renewable energy. They are part of the living environment of citizens, including communities and regions with highly ambitious clean energy goals. The related regional and local innovation ecosystems and value chains will have an important role to play in the transition of regional and local energy systems. The motivation behind each project is to identify and address critical needs within a specific regional/local energy system. Projects are asked to involve “need-owner(s)” and relevant stakeholders from the regional innovation ecosystem in all project phases to maximise market acceptance and uptake within the development of technologies and solutions. A key element for the project proposals is the focus on excellence in collaboration with relevant “need-owners” and stakeholders in co-creating solutions. 1. Identification of needs and “need-owner(s)”: Description of process and methodologies for identifying critical needs, in collaboration with the most significant “need-owner(s)” and other stakeholders in the local and regional energy systems (e.g. infrastructure operators, end users, communities etc.) Optimally, one or more concrete region is addressed4. Description of activities in the fields of research, development and demonstration and/or real environment testing. Description of chosen processes and methods for collaboration between project partners, “need-owner(s)” and other stakeholders. Description of how “need-owner(s)” and relevant stakeholders (such as technology and service providers, innovators, start-ups, end-users and communities) should participate in the planned R&D demonstration and transfer activities through the chosen collaboration processes and methods. The described processes should ensure that the viewpoints, knowledge and expertise of the “need-owner(s)” and relevant stakeholders are involved in all solution development stages, from concept creation to demonstration. This is defined as a solutions’ co-creation process5. 3. Scaling up, replication and dissemination strategy: Description of the potential for subsequent scaling up, replication and achieving market-readiness (TRL 8-9) for the solutions developed in the course of the project and reaching up to TRL 7 (see section 4.1). Description of IPR, knowledge sharing and open data strategies, including identifying solution synergies and developing next steps. These should take into account opportunities for follow-up projects with market uptake measures (TRL 8-9) that could be supported by some ERA-Net SES funding partners or associated partners, subject to State aid rules where applicable. The opportunities for creating policy briefs and guides or other deliverables in the framework of the ERA-Net SES Knowledge Community should also be considered (ERA-Net SES/Knowledge Community). Each project is expected to actively participate in knowledge sharing and learning as organised by the ERA-Net SES Knowledge Community, together with other projects resulting from this call, additional experts and ERA-Net SES associated partners. Sustainably successful digital services have to be customisable, scalable and replicable from a very local to an interregional and global level, leveraging synergies by building on digital platforms6. They require advanced ICT systems, which have to account for security, privacy requirements and trade-offs. Proposals that intend to develop digital services therefore should, as far as feasible, use existing digital platforms7, rather than expend project resources to develop their own8. Proposals are asked to maximise synergies with other relevant national or European projects, current and concluded. develop energy system solutions, as well as prepare or implement demonstration projects. Projects should address solutions within Technology Readiness Level 5 – 7 (TRL - see definitions in Annex G). Activities with lower TRL levels (3-6) may be included if they contribute to the higher project goal. Projects may expand on results from and connect to ongoing or recently finished demonstration projects (utilise test infrastructure, utilise knowledge, cooperation of key demos, transfer of results, establishment of new business activity, etc.). They however must show complementary and added value, avoiding duplication. Projects should develop new solutions with the potential to become best practice by 2025.
implement the Three-Layer Research Model encompassing Stakeholder/Adoption, Goods and services and Technology (see Annex A). This normally includes considering business models, market strategies and consumer needs and engage private and public stakeholders in co-creation eco-systems. Projects are expected to incorporate all three layers of the model. However, projects involving only one or two layers can be considered if sound arguments for doing so are presented. Generally, projects implementing all three layers will be given priority. address the Three Dimensions of Integration (see Annex B). This includes to involve stakeholders across relevant sectors, energy systems and regional innovation eco-systems. Projects have to cover at least the “Smart Energy System Integration” dimension. Projects covering additional dimensions of integration (ideally all three) will be given priority. address critical needs within a specific regional/local energy system. Projects should involve regional/local “need-owner(s)” and other relevant stakeholders to ensure market viable solutions based on concrete needs. At the same time, the aspects of replicability and transferability of solutions should be considered. Projects should carefully consider the requirements defined by end-users of technology and/or energy, involving specialists like marketing experts and designers to foster adoption and success of new energy solutions in society in general, and in local communities in particular. show a critical mass of participants and critical size according to their subject (e. g. minimum number of involved households, involving intermediaries with large outreach potentials, connecting different types of storages, demonstrating Virtual Power Plants of a minimal size, platforms that host a minimal number of stakeholders etc.). consider diversity perspectives related not only to gender, but also ethnicity, age, socio- economic status, physical abilities, political beliefs, geography etc. throughout the project. Adoption and success of new energy solutions in local communities, and in society in general, requires careful consideration of the prosumer and end user’s needs. To be able to evaluate the highly variable consumer needs and to inspire the most creative and effective solutions, the composition of a successful project consortium ideally should reflect the diversity in society. National/regional eligibility criteria must be respected in addition to the ERA-Net SES RegSys project requirements. A summary of national/regional eligibility requirements is provided under Annex C. It is essential that applicants familiarise themselves with their respective funding agency’s rules. It is mandatory that they contact their respective national/regional contact points during the advisory period for clarifications prior to submitting a full project proposal. This contact may inter alia be important for enabling national/regional authorities to check compliance with national/regional rules adopted on the basis of EU State aid rules, such as rules implemented/to be implemented on the basis of the General Block Exemption Regulation14. Examples of potential project types are given in Annex E.
Applicants for this call should be aware that they will be expected to participate in the ERA-Net SES Knowledge Community (see Standard Work Package, Annex H). Cooperation and facilitation in the below-mentioned activities are mandatory for all projects funded by the ERA-Net SES. The final organisation and execution of these activities will be the result of an iterative process between the Knowledge Community Management and each funded project, as applicable. The project proposal (see section 5.5) should include the mandatory work package that implements these activities (see Annex H). In the design of their own dissemination and exploitation strategies, projects should consider potential synergies with and contributions to the ERA-Net SES Knowledge Community. The ERA-Net SES Coordination implements advanced and innovative follow-up, monitoring and transfer activities to create an ERA-Net Smart Energy Systems Knowledge Community. It is organised by the ERA-Net SES Knowledge Community Management15. Community will link experts of ERA-Net SES16 projects and actors of other national, transnational and international smart energy projects. It will also provide connections to policy makers, stakeholder organisations, SMEs and academia from outside the ERA-Net SES community. To involve key stakeholder groups and exploit specific potentials, the Knowledge Community involves so called Associated Partners that can contribute specific knowledge, tools or means of approaching stakeholders. The Knowledge Community refers to the European knowledge base (e.g. findings, resources and expertise from the European SET-Plan Initiative, Horizon 2020 Bridge Working Groups, ETIP SNET working groups, the European Smart Grids Taskforce, the Grid+ Storage and Intensys4EU Project, the Future Internet PPP, the SEN/CENELEC/ETSI working groups or the Council of European Energy Regulators (CEER) etc.). It will offer knowledge to aid policy makers, program managers/owners, EU level representatives and stakeholders in making strategic decisions. The key means of managing a lively Knowledge Community are Living Documents and physical and virtual Working Groups. Cooperation and Knowledge is being managed on the comprehensive expera web-platform (www.smartgridsplus.eu). The Knowledge Community Management will further implement an interactive, formative evaluation process where the projects’ results are assessed against state-of-the-art knowledge and through which the projects get the opportunity to monitor their progress and results. The evaluation will emphasise the importance of interoperability, scalability and replicability of the results. It may also aid the deployment of the solutions on a national and European level. The Knowledge Community is an integral part of the ERA-Net Smart Energy System concept. It is therefore important that applicants fully consider this concept and its content when formulating the project proposal. During the proposal phase, there will be a compulsory proposal outline and advisory period. The applicants are obliged to send a proposal outline for preliminary eligibility check to the respective funding agencies. During the advisory period, the project applicants are obliged to seek support and guidance from their respective agencies regarding their proposal outline. This is to ensure suitability of the projects with respect to national/regional requirements. During the national eligibility and evaluation phase, the project proposals will be submitted to a full national/regional eligibility check and a trans-national evaluation. The project proposals have to include all necessary information and documentation, as well as any information needed to fulfil national/regional requirements. If these formal requirements are not met, the project proposal will not pass the evaluation phase. The different steps of the evaluation are described in more detail in the following sections (5.1.1–5.1.4). The ERA-Net SES Call Management17 will facilitate the call process.